One of America’s greatest illustrators and graphic artists, Oklahoma-born Paul Davis is perhaps most famous for his iconic posters for the Joseph Papp Public Theater productions of Hamlet, For Colored Girls, Che, The Threepenny Opera, and others. 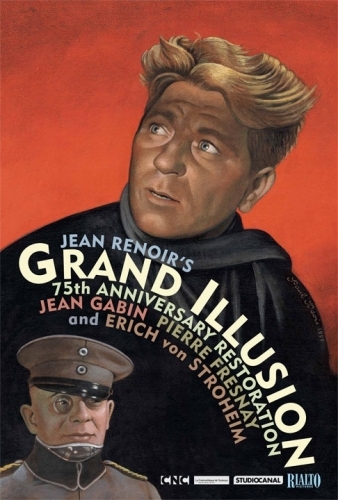 In 1999, Rialto commissioned what became his equally-iconic poster for Renoir’s Grand Illusion (which in turn became the cover of Criterion Collection DVD #1). Rialto’s Bruce Goldstein also commissioned Davis to create a new poster for Abel Gance’s epic Napoleon, for its 2012 screening in Oakland, California, sponsored by the San Francisco Silent Film Festival.